This revised self-teaching manual covers the basic rules of English grammar for Hispanic ESL students who already have some facility in speaking, reading, and understanding English. Topics covered include identifying parts of speech, rules for capitalization and punctuation, and correct word usage. Those preparing to take ESL tests will also find a pretest with answers, separate exercises that focus on all parts of speech and verb tenses, and a section that discusses important differences between standard and non-standard or colloquial forms of American English. 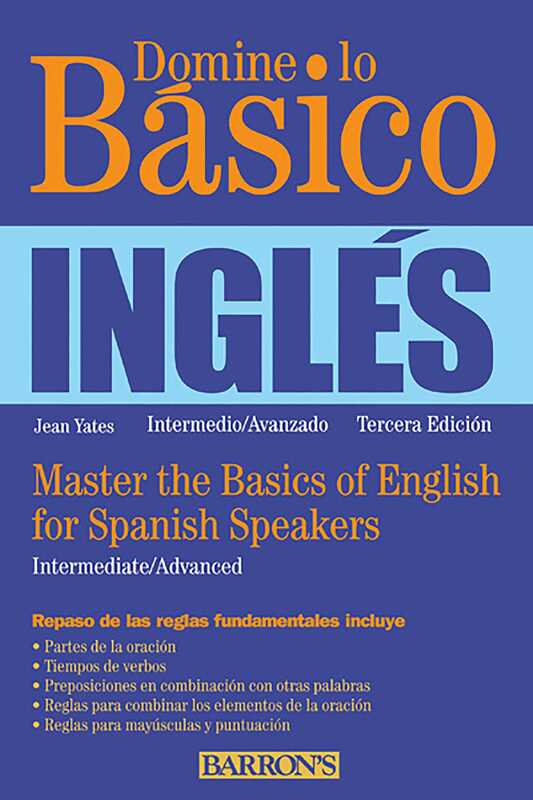 This book addresses problems unique to speakers of Spanish, with exercises designed to help them express themselves correctly and in a personal way in English. One ESL teacher called this book "a great primer for hesitant learners of English." It reviews fundamentals of English grammar for Hispanic students preparing for ESL tests.